Roshni Baptist | OK Listen! 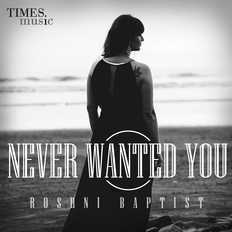 Roshni Baptist is a singer and songwriter from Mumbai city, who started her songwriting project in 2012. Dabbling in sounds of Country /Pop contemporary & Pop Rock. Her versatility as a singer has helped her easily adapt to different genres of music giving her voice the range and natural ability between gentle & soulful to edgy. A mezzo (mid-ranged) singer, she received no formal training in music; her years of singing in church choirs, school & college developed her into the singer she is today. In 2010, she decided to take it up professionally. Her musical influences vary from Simon and Garfunkel, Shania Twain to the Classic Rock era bands like Journey, Heart, and new age artists Sara Bareilles, John Mayer, Dido, Imogen Heap, Pink, Lady Antebellum to name a few. She wrote and arranged her first song “Someone New” with the help of acclaimed Singer / Songwriter Nikhil D’Souza, from Mumbai. In 2012, she met Multi-instrumentalist Jose Neil Gomes. As a team, together they started working on compositions and arrangements of her songs. Gomes, freelanced with Roshni's acoustic setup. 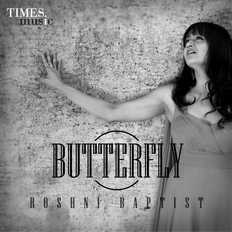 Roshni started collaborating with other artists from the Mumbai circuit and was part of various tribute gigs held in the city. Thus started the journey of both studio recordings for jingles and live performances. 2014, she sent a couple of her demo’s to a representative of Abbey Road studios, London. Later that year, she was called to be part of a songwriting camp held at Yashraj Studios, Mumbai which was crafted by Abbey Road studios, London and Sounds of Australia. A collaboration of Indian and Australian musicians. Which later was the stepping ground for Roshni to be signed on as a songwriter to BMI. 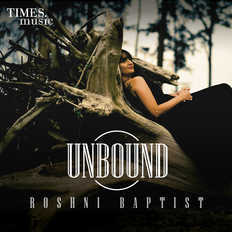 Today, Roshni is ready to release her debut album titled "UNBOUND", a self-produced, semi-acoustic, album featuring a first music partner Jose Neil Gomes, Guitarist & Music Arranger Joell Mukherjii, Drummer- Gino Banks, Bassist- Sheldon D'Silva, Guitarist- Veljon Noronha, Violinist- Sandeep Thakur and a host of guest artists from the Mumbai circuit as well as 3 American Artists. The album is a coming together of various musicians, giving it an eclectic sound.